Here is a list of fun and educational talks Stan has ready to present to your group. Interested in having Stan speak to your group or organization? Contact Stan at stan@naturesmart.com. Migration is still a mystery in many ways. In this presentation Stan shows magnificent photographs of bird migrating along with fascinating facts that unlocks many of the secretes of bird migration. This presentation is fill with information and fun stories of migrating birds. How do they find their way? How do they know when they arrived? How do they find their way back? Hundreds of award winning images of migrating birds. These questions and many more are answered in this lively presentation. 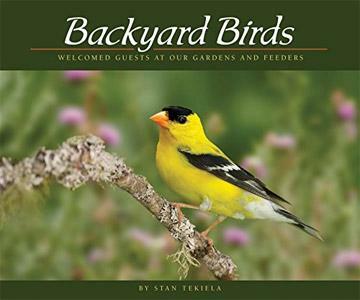 Magnificent photographs and fascinating facts spotlight the lives of the most captivating and beloved backyard birds. This talk is packed with information that is not found in the ordinary field guide. Hundreds of award winning images of your most favorite backyard birds. Why are some birds so brightly colored? Why do they sing songs? Life inside an egg and nest. 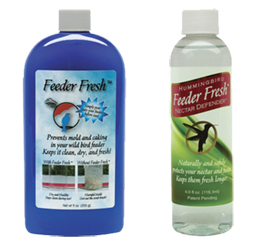 Does feeding birds in your backyard help the birds? How many eggs can a bird lay? These are just some of the topics in this presentation. Cranes, Herons and Egrets are our tallest birds. For 30 years Stan has been traveling to study and photograph the annual migration of Sandhill Cranes in Nebraska. In this engaging presentation Stan will show you his award winning images of these magnificent birds and talk about their epic migratory journey. He will also speak and show his images of the endangered Whooping Crane which makes a similar journey from northern Canada to the Texas coast. 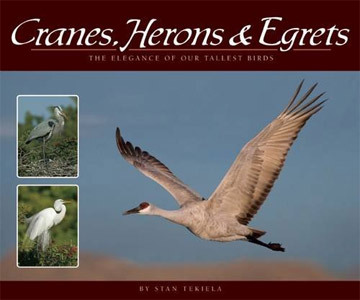 The fascinating lifestyle of herons and egrets rounds out this wonderful presentation. Bird nests are among most amazing dwelling places in the entire animal kingdom. Few creatures craft such brilliant and involved homes as birds do. From holes drilled into trees to intricately woven cups, these magnificent structures are worthy of our admiration. This talk is full of fun details told with Stan's great sense of humor. From Alaskan wilderness to the Florida Keys, Stan Tekiela has spent 30 years in pursuit of deer, elk and moose in order study and photographic them. In this talk Stan will speak about his fascination with these grand and majestic creatures. From the soulful eyes of the deer to the easygoing nature of moose, Stan presents the lives of these intriguing mammals with his humors style. Every bird is covered with thousands of feathers. Each of these feathers is a combination of incredible engineering and absolute beauty. Feathers help birds keep cool on hot summer days, warm on cold winter nights, and they protect birds from harmful ultraviolet light from the sun. Birds use their feathers to attract mates during breeding season. Feathers also help to conceal nesting birds that are incubating precious eggs. And let&apos;s not forget that feathers give birds the ultimate freedom—flight. This presentation is stunningly illustrated with hundreds of feathers and fun facts all delivered with Stan&apos;s fun sense of humor and playfulness. This is a fun and entertaining talk presenting fascinating facts and tidbits about some of the birds that people love to hate along with some of the more common birds in our yard. Stan will challenge your preconceived ideas about some common birds such as the European Starling, the American Crow and much, much more. You will never look at these birds the same way ever again. This talk wraps up with a message of conservation and understanding. A very popular new talk. The Lives of Wolves, Coyotes and Foxes is a fascinating look at some of the most intriguing animals in the wild. Stan will explain the interesting details of these wild canids. Hundreds of award winning images and packed with fun and entertaining information this presentation is a visual feast and fun. Based on Stan's book of the same title, this presentation is sure to be a big hit. You will never look at a wolf, coyote or fox without a new sense of wonder and amazement. This is one of Stan's favorite presentations. This talk is based on the book and covers some of the most amazing aspects of bears. This presentation is packed with amazing images of three species of bear found in North America, Black, Brown and Polar Bear. Stan will explain in his fun and entertaining way all about the different kinds of bears along with telling some of the most amazing stories of his adventures in the wild to capture these incredible images. Hundreds of award winning images are the backbone of this presentation. This presentation is visually fun and full of adventure. A real crowd pleaser. 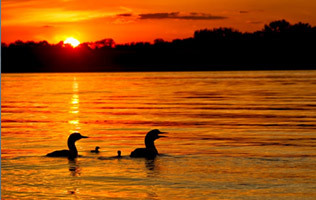 Loons have fascinated people for thousands of years. Stan has spent over 20 years studying and photographing loons just for his book Fascinating Loons and for this presentation. Image after image is filled with stunning pictures of loons in all their splendor and glory. Stan answers the age old questions about loons such as; Do they mate for life? Do the same loons return to the same lake each year? And so much more. This is a real crowd pleaser. Nocturnal birds and animals have intrigued people since the dawn of time. This presentation is filled with eye-popping images of every owl species found in the United States. For over 20 years Stan has traveled across the US to study and photograph owls. In this presentation Stan will explain the many intriguing aspects of these nocturnal birds in plain and simple terminology. You will learn just how well owls see in the dark along with their amazing hearing abilities. If you are like most people and you are fascinated with owls then this presentation is sure to delight your group. Bluebirds are one of Stan&apos;s most favorite birds to photograph and this PowerPoint and talk shows it. This presentation is filled with award winning images of one of America&apos;s most favorite backyard birds. Stan&apos;s talk about bluebirds will enlighten even the most knowledgeable bird lover. You will be amazed and delighted at this wonderful talk. Stan always says that it&apos;s hard to take a bad picture of the Bald Eagle and in this presentation you will see what he means. These birds are not only our national symbol but they are amazing subjects to photograph. Filled with hundreds of Stan&apos;s best eagle images, this PowerPoint talk is fun and informative. Sure to leave your group wanting to hear more about this majestic bird. Bird of prey are often difficult birds to correctly identify in the wild. Based on Stan&apos;s field guide, Birds of Prey of the Midwest, you can learn how to identify falcons, hawks, kites, eagles and owls. 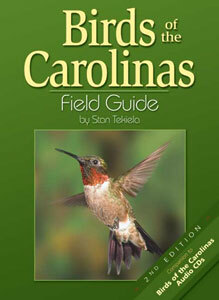 Each grouping of birds is covered with detailed information about how to identify each species. Each section is followed by a short quiz that will help to reinforce what you just learned. This is a fun and interesting way to learn how to identify all the raptors in the Midwest. Sharp and clear professional wildlife images by Stan Tekiela of each species, perched and in flight, will insure you learn how to identify these amazing birds with confidence. This talk takes a fun and entertaining look at the world of hummingbirds. Stan traveled all over the US to study and also capture the many dazzling images of hummingbirds that adorn this book and presentation. Stan will talk about how hummingbirds feed, catch insects, mate, migrate and so much more. This presentation will be a welcome addition to the many amazing presentations that Stan has to offer. Your group will love this presentation. Woodpeckers are a very unique group of birds. We often take these backyard visitors for granted. In this talk, Stan will expound the virtues of these remarkable woodpeckers. This talk is filled with fun facts, and incredible images of all our woodpeckers. This talk is perfect for any group that has a general interest in birds or feeds birds in their backyard.